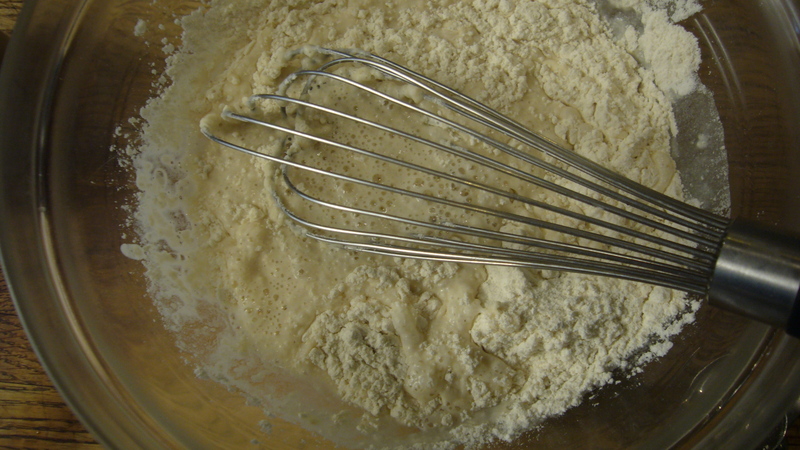 Pour the warm water in mixing bowl and add the yeast. Let it stand for a few minutes to soften, then add flour, salt and olive oil, whisking the first cup in to mix it thoroughly, then adding the more to make bread dough. 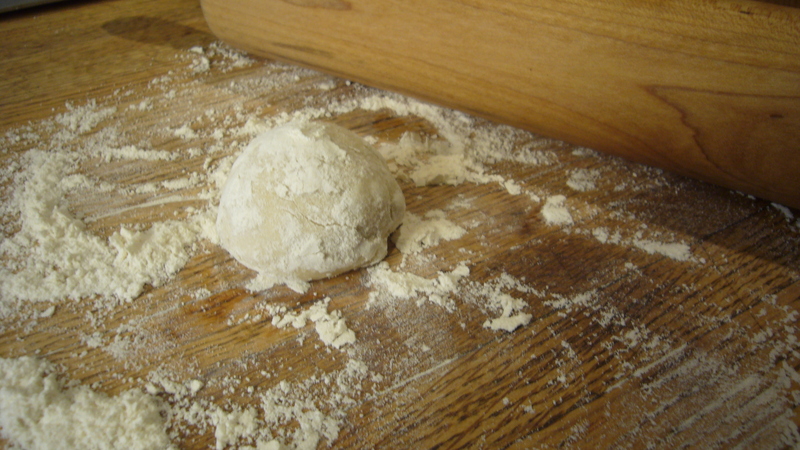 Turn the dough out onto a counter with the remaining flour (don’t be afraid to use more). Put the bowl to soak. 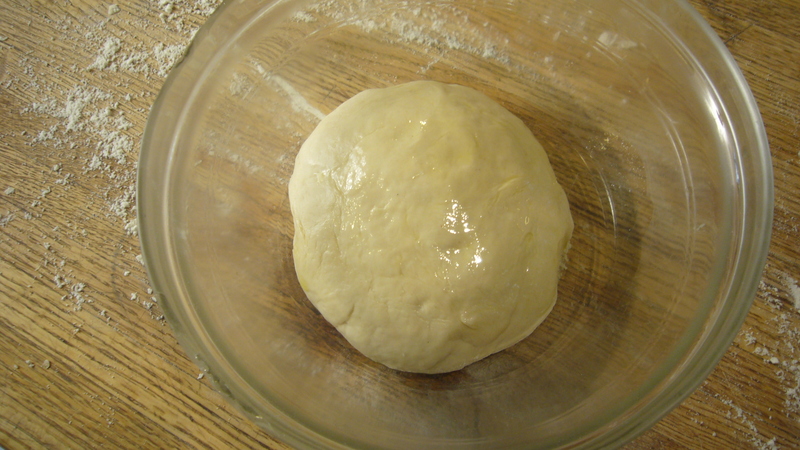 You’ll use it in a minute to let the dough rise. Kneed the flour for about six to eight minutes. Great upper body exercise!. It should have a satin feel and no longer stick. 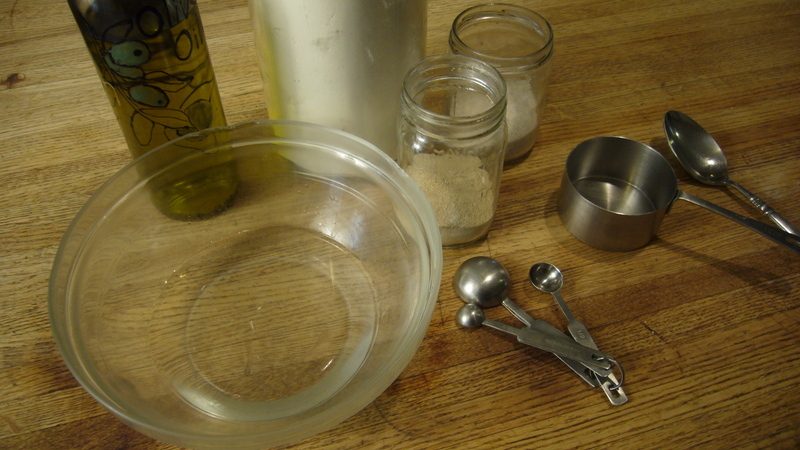 After the bowl is clean, wipe it out, add a little oil to the bottom, put in the dough and turn it to coat. Cover and let rise until double in bulk, about one hour in a warm place. When the dough has doubled in bulk, punch it down. Take one small ball about the size of a golf ball. Roll it into a disk 6 inches across and put it on a cookie sheet. 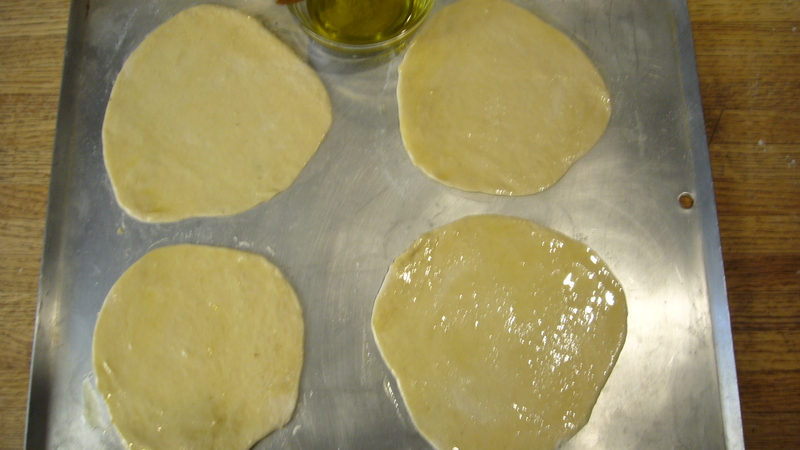 When you have four on a sheet, brush on a thin layer of olive oil and cover with toppings. Does it work to store the dough in the fridge or freezer? If so, how long would it last in both places? There are times that I come home from work and would love to make a quick pizza but don’t want to wait the time needed to make the dough. Suggestions? Definitely in the refrigerator. Not sure about freezing, but it would be interesting to try!